Order within 16h 15m 11s and it'll leave us today! Muscle Protein combines the finest whey protein in a unique protein blend formulation. This cutting-edge protein shake also includes premium grade micro-filtrated creatine and a TPW™ proprietary vitamin blend to support your training and body goals. 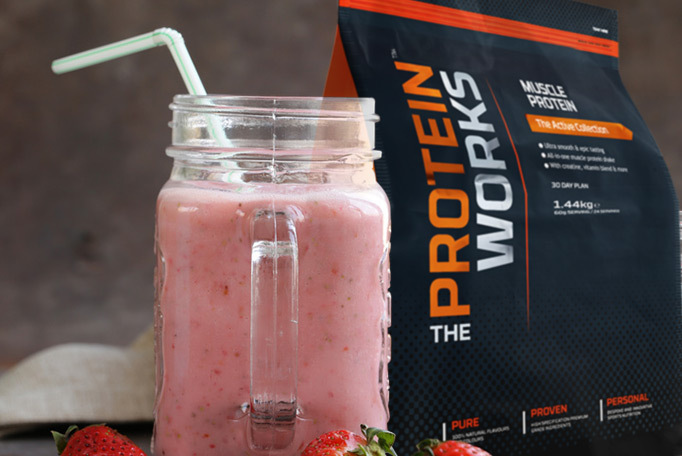 Although Muscle Protein is high in protein, it has less than 2g of fat in each protein shake and just 2.1g of sugar, meaning it has everything you need to help achieve your muscle building goals without adding any extra, unwanted calories. With every Active Collection protein shake purchase, we're giving away our 30 Day Mini Fitness Guide ABSOLUTELY FREE! 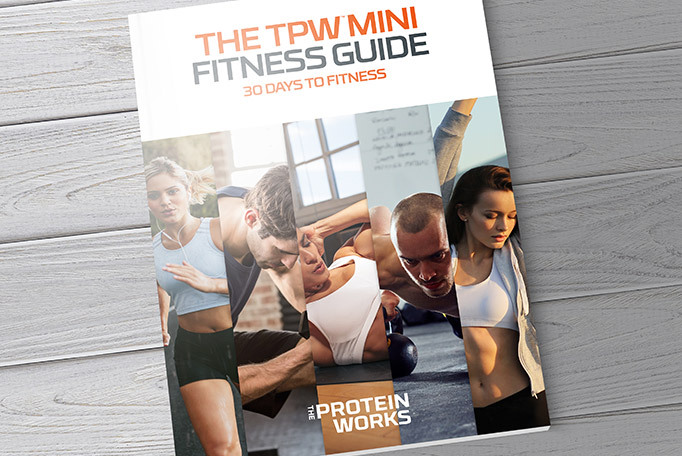 This unique guide worth £19.99 is designed to help you reach your goals and support you through your Muscle Protein Plan including recipes, training plans, step by step guides and much more. Click the button below to read more about the guide. Muscle Protein is a convenient 30 day plan to kick-start your healthy lifestyle. The plan consists of two shakes per day, seven days a week. 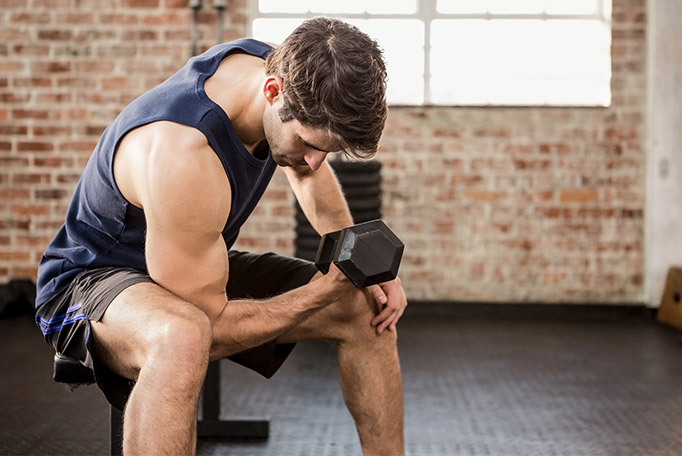 Muscle Protein can be taken any time of day, but we recommend one shake immediately after your workout or any form of physical activity and one between meals to achieve the best results. When it comes to epic tasting flavours, we stand alone. We're not number one rated and multiple award-winning for nothing. All our protein shakes are made with only premium flavours and the finest protein sourced from within the EU. Muscle Protein comes in a range of ultra smooth, epic flavours that we guarantee will keep you craving for more. Chocolate Silk has smooth, rich cacao tones combined with super silky and indulgent textures to create the perfect chocolate shake. Strawberries 'n' Cream is your classic summer fruity favourite infused with creamy textures to deliver an awesome strawberry milkshake. What is Protein and Why is it Good for You? Protein is responsible for maintaining, repairing and building muscles in the body. It is one of the three macronutrients and is a very important factor in any healthy diet. There are many different types of protein in your body, all of which are made up of amino acids. Every day, our bodies require 20 different types of specific amino acids, which is why we need to ensure that we supply our bodies daily with sufficient amounts of good quality protein. In our 30 day plan, Muscle Protein is taken once a day, 7 days a week to ensure you are replenishing your protein stores without the additional calories or fat. I love this protein, choc silk is the way to go! If you're looking to for a protein that does the job, then i'd highly recommend this. I added weight and power using this product.One of the best performance products that i've tried. Bought to spice up my post workout recovery. Great product. Tastes great, good ingredients. Great value. Definitely seems to help out with recovery and preventing doms. Would recommend to anyone looking for a good post workout option. So good I'm back for more! Tried a bag of the Chocolate Silk and felt great after training. Recovery times were down (was just using a straight protein powder previously) and fresher the next day. Forgot to reorder in time so picked a cheap bag up from a local shop, I can tell the difference, so I've just reordered. Only issue I had was it didn't mix great but I only used the small shaker. Will try in a large shaker this time. On day 20 of my pre-launch sample and I love this stuff. There's no more mixing my whey with creatine and other supplements, I have everything I need in this shake. Tastes great and so convenient!